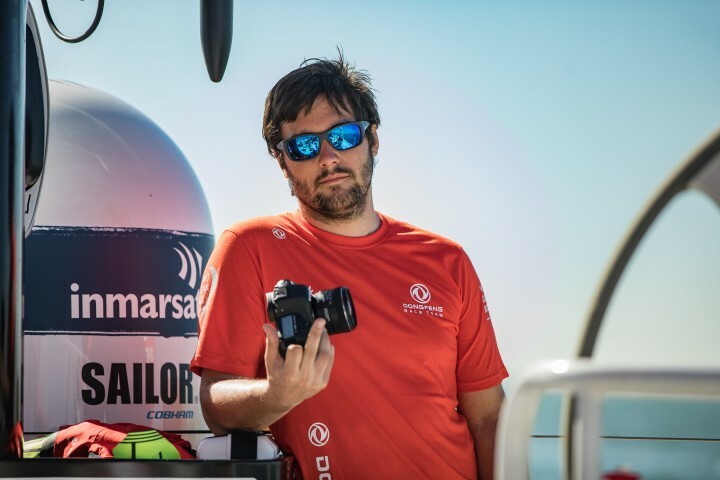 Top shot of Dongfeng Race Team after the start of Leg 2 of the Volvo Ocean 2017-18. Chinese sailor Chen "Horace" Jinhao hold himself at a sail after being hit by a massive wave on a VO65 driven at full speed by Stu Bannatyne in 30 knots of wind. 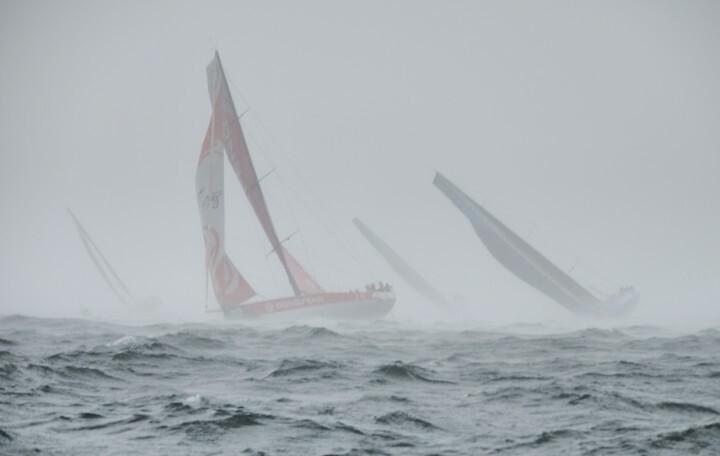 Usually this kind of shots is taken during organised images banks sessions, but here it's pure racing conditions, they will sail like this for the next eight months.